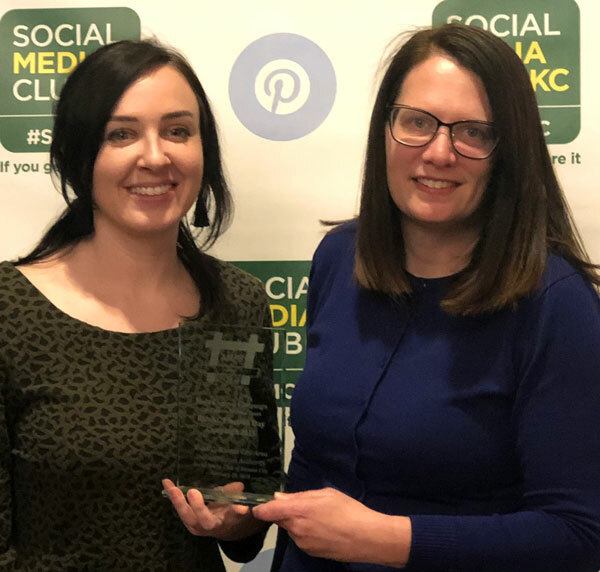 Earlier this year, KCATA won an AMPS Award from the Social Media Club of Kansas City for their Election Day campaign leading up to the November 2018 election. And the transit agency also received an AdWheel Award from the American Public Transportation Association. In November 2018, RideKC offered free fares on Election Day. During the month leading up to the election, RideKC used social media to promote registering to vote, along with providing how-to-ride information. As the election drew closer, RideKC shared information about checking voter status and how to find the correct polling place. RideKC wanted to remove barriers to voting by connecting people with the resources they need, and by removing the cost of fares on election day. The campaign was a success. On Election Day, ridership increased by nearly 12 percent. Additionally, the impact of RideKC’s social media posts about voting increased approximately 30 percent leading up to November 6. Above: Graphic Designer Rhianna Weilert and Digital Content Editor Bridget Moss accepted and AMPS award for RideKC's multi-channel campaign. KCATA also won an APTA AdWheel Award at the 2019 Marketing and Communications Workshop. The AdWheel Awards recognize the marketing and communications efforts in the public transit industry. RideKC won an AdWheel for its Student Pass Pep Rally. The press conference pep rally kicked off the pilot program for the free student pass program. The Student Pass Program is a partnership between KCATA, Kansas City Public Schools, Hickman Mills School District and Center Public School District to give 9th through 12th graders free access to public transportation throughout the region. The Pep Rally featured students and administrators from all districts, along with cheerleaders, a marching band, giveaways and after school snacks. Above: Public Information Officer Petrina Parker and Digital Content Manager Bridget Moss (center) accepted the award. Both Parker and Moss were panelists at workshops during the conference.